Feeling frazzled this summer? Renew yourself with some Restorative Yoga. Through the month of August I’ll be covering Gentle Flow and Restorative Yoga at L!FE Shoreditch on Brick Lane. In class we’ll bring out the bolsters, blankets, blocks and eye pillows to promote complete rest, ease fatigue and stress, and activate our parasympathetic nervous systems (the part of the autonomic nervous system in charge of our ‘rest and digest’ activities). Gentle Flow & Restorative classes at L!FE are on Tuesdays 14.30-16.00 and Thursdays 9.30-11.00. 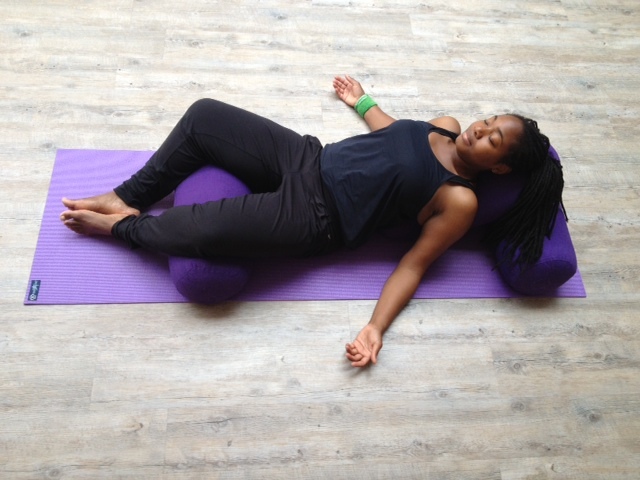 South Londoners can also join me at Embody Wellness in Vauxhall on Friday 16th August when I’ll be covering Relax & Restore restorative yoga from 19.00-20.15.